Brand new for 2017, we're excited to launch our new 'Greenery' light collection, kicking off with our popular handmade, table top marquee lights. Pantone announced 'Greenery' as the colour of the year for 2017 and we couldn't agree more! We're crushing hard on these lights; they'd look at home at just about any wedding. What's more as they're artificial they don't need any TLC, a big 'huzzah' from the not-so-green-fingered camp! Each light is handmade by me, Vikki, with a little help along the way from Keith Moon, Oliver Reed and Ziggy Stardust. Being a closet wedding fanatic, you can be assured that the quality of each light is first class; each order is treated with the same love and attention as I paid to my own personal wedding set. 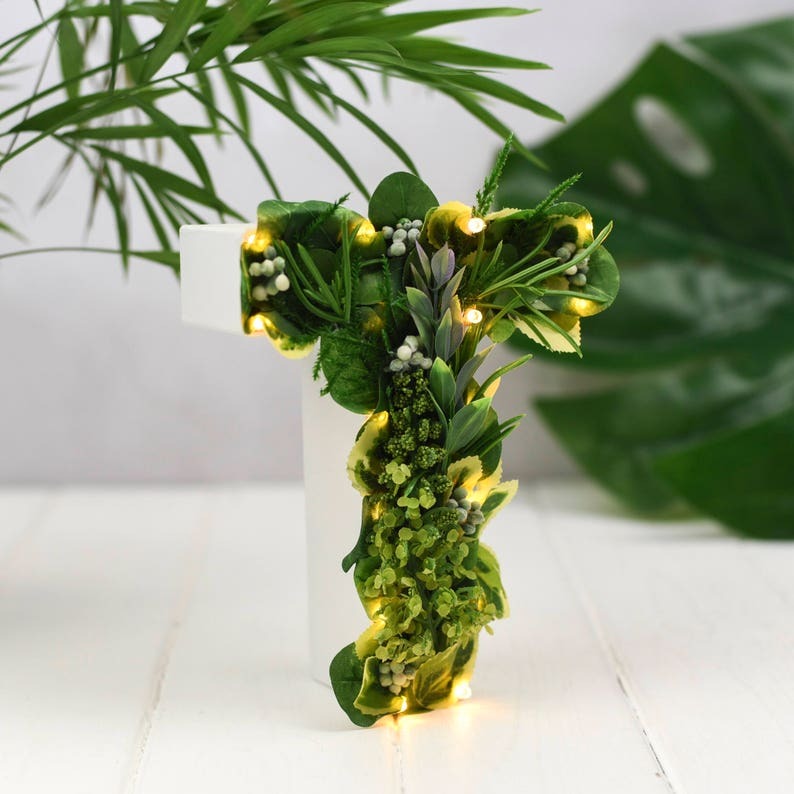 The lights are made with high quality artificial foliage; a handpicked mix of Rosemary, Eucalyptus, Ruscus, Pittosporum, Cottage Garden Veronica and Sedum. Basically everything you'll find in a country garden. The backs of the lights can be sprayed one of 4 options, white, gold, silver or copper. Just select from the drop down your choice. The lights are individually powered by 3xAA battery operated warm white LEDs (up to 20 per light) and have that all important clear wire meaning that the flex to the battery pack is nice and discreet and won't look unsightly in your wedding photos and as the lights are separate you can arrange them as you prefer. Size wise, they measure approx 17.5cm tall, with the width varying per character. They're nice and chunky at 5.5cm deep and are freestanding (though some letters may need a stand). Please note these letters are not wall mountable and at this time, i only make this size letter. Hopefully that's everything covered but if you have any questions, please give me a shout via the 'contact seller' button. Always happy to have a chinwag via email. 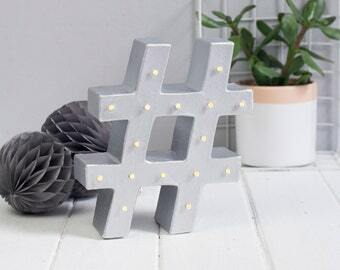 Loved them - great decor item for our wedding, thank you!